Update: The government has stopped funding the Green Deal Finance Company, which was set up to lend money to Green Deal providers – details here . You may still be able to get providers financing their own scheme. On Monday 28 January, the Government launches its new green deal initiative to encourage home improvements, potentially saving you £100s of pounds per year but with no upfront capital costs! What does the Green Deal cover? Boiler replacement – this is the biggie! Your boiler accounts for around 60% of the total energy cost and a more efficient A-rated boiler could save you 30% of this. It may cost up to £2,500 to install but could save you in the region of £300 per year. You need to get a green deal assessor to visit you home but you can get several quotes from different assessors to ensure the best deal – there could be a charge for this. To find approved assessors visit gov.uk/greendeal. 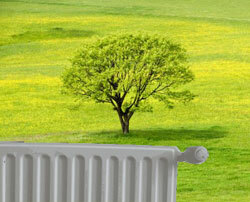 Are there any catches to the green deal? In theory the green deal is great because in the worst case scenario, the amount you are saving each month by having the improvements will match the extra money you are paying through the electricity bill. However, you can’t guarantee the accuracy of the assessed savings and indeed in the unlikely event of energy prices dropping substantially at some point in the future, then you could be repaying much more than you are saving. There are also possible complications when you come to sell the property – a potential buyer might not want to pay an additional monthly fee on their electricity bill or at the very least may want some evidence of the savings. It could also make it slightly more difficult for buyers to get a mortgage on a property. Overall, the Green Deal initiative seems a clever and promising way to encourage people to insulate their homes. For more information on the Green Deal you can visit the Energy Saving Trust – www.energysavingtrust.org.uk or call them on 03001231234. Another instructive website is www.greendealinitiative.co.uk which offers an objective view of the UK government’s Green Deal policy and where you can also find information on how it can benefit you business.